Richard Lui has more than 30 years in television, technology, and business--often addressing Fortune 500 and Silicon Valley firms as a thought leader in media, marketing, and storytelling. 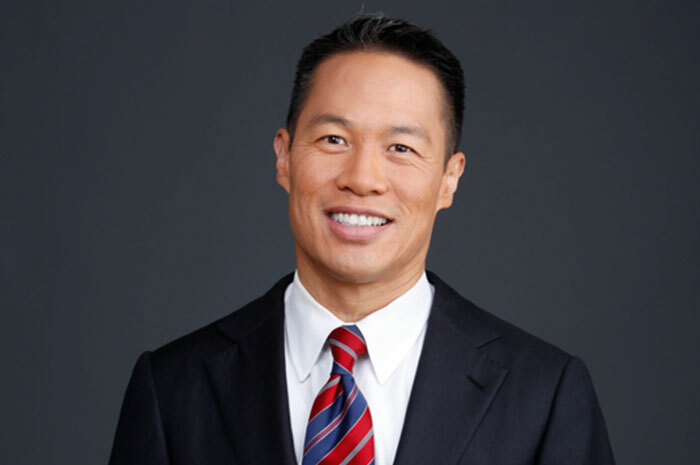 Lui is a veteran journalist and news anchor for MSNBC, NBC News and CNN Worldwide (ex). In 2007 Lui became the first Asian American male to anchor a daily national news broadcast in the U.S. He has launched six technology brands over three business cycles, most recently with an artificial intelligence company in Silicon Valley. While at Citibank, he co-developed a fintech payment process from which he holds a patent. Read More. Hide Additional Text. Lui is ranked globally in the top 1% of social media users by Twitter Counter. Business Insider named Lui one of 21 careers to watch alongside Warren Buffett and Sheryl Sandberg. In addition to team Emmy and Peabody awards, he has received the Multicultural Media Correspondents Dinner Award at the National Press Club, the National Education Association's Human and Civil Rights Award, and AAJC Courage Award. Lui is a policy fellow at the University of California, Riverside, UN Women Spokesperson, U.S. State Department traveling speaker, and ambassador for gender equality and human trafficking NGOs. Ravinder S. Bhalla is a Partner in the Rochelle Park office at Florio Perrucci Steinhart & Fader, LLC. Ravi is an experienced federal and state court litigator in the areas of local government law, employment law, complex civil litigation, and criminal defense law. Ravi also serves as Chair of the Firm’s Diversity and Inclusion Committee and is a recognized leader in diversity and social justice issues both in New Jersey and nationwide. Ravi’s experience in local government, public entity and municipal law includes the representation of various municipalities, boards, agencies, counties and related public bodies in a broad range of issues and challenges confronting public employees and officials. He has provided both legal counsel and litigation services to various mayors, council members, governing bodies and municipal and county agencies in the areas of interpretation of the Faulkner Act, public contracting and bidding matters, and the respective rights, obligations and limitations upon certain municipal officials in the execution of their duties. Ravi has also represented municipalities in complex redevelopment and land use matters, employment law and police litigation. As a municipal official himself, serving as a council member and a planning board member in his home town, Ravi brings a unique perspective and keen sensitivity to the need for local government officials to have the benefit of competent, diligent and strong legal counsel. In 2009, Ravi was named a Rising Star by New Jersey Super Lawyers Magazine & New Jersey Monthly. Ravi began his career in Newark, NJ where he gained trial experience and handled matters in the areas of white-collar criminal defense, complex civil litigation, and cutting-edge civil rights litigation. Ravi earned national recognition in the New York Times for his legal advocacy after suffering a violation of his own constitutional and civil rights during a jail visit to a client. The incident motivated Ravi to lead a successful campaign to reform the federal government’s visitation policies at correctional facilities nationwide. 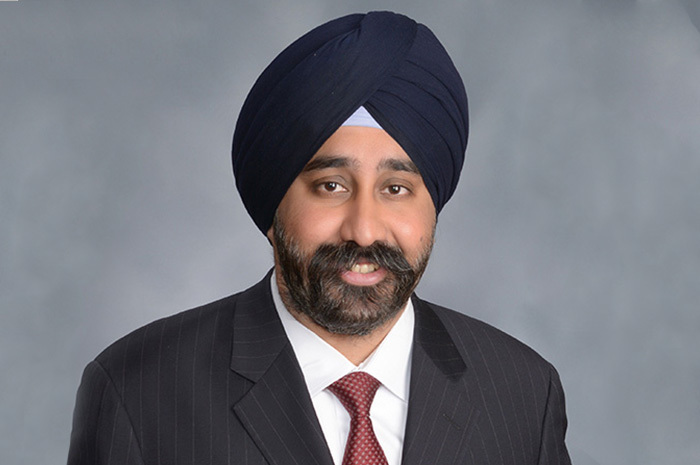 Ravi also earned national recognition for serving as lead counsel in a successful challenge to the New York Police Department’s policies that restricted his client’s religious practice as a Sikh American officer. Over the years, Ravi has been recognized for his public interest advocacy on behalf of Asian Americans and other minorities, receiving the Thurgood Marshall Award from Muslim Advocates, the Professional Achievement Award from the Asian Pacific American Legal Association of New Jersey, the Community Leadership Award from Asian Americans for Equality, and the Community Service Award from the Sikh American Chamber of Commerce. Ravi currently serves as Co-Chair of the Diversity and Inclusion Committee of the New Jersey Association for Justice’s employment section. Most recently, Ravi was appointed as a Trustee of the Association of the Federal Bar of New Jersey, the premiere federal bar association in the State of New Jersey. Ravi is a member of the Association of the Federal Bar of New Jersey, the New Jersey Association for Justice, Asian Pacific American Lawyers of New Jersey, and the South Asian Bar Association of New Jersey. Ravi received his undergraduate B.A. degree from the University of California at Berkeley in Political Psychology, a Masters of Science from the London School of Economics in Public Administration and Public Policy, and a Juris Doctorate degree from the Tulane University School of Law in New Orleans, Louisiana. Ravi lives in Hoboken, NJ with his wife and two children, where he remains active in the community, serving as a Hoboken City Councilman-at-Large since 2009. Ravi also served as Hoboken’s City Council President from 2011-2012 and in 2015, as Council Vice-President from 2010-2011, and as Chairman of the Hoboken Democratic Party from 2010-2011. 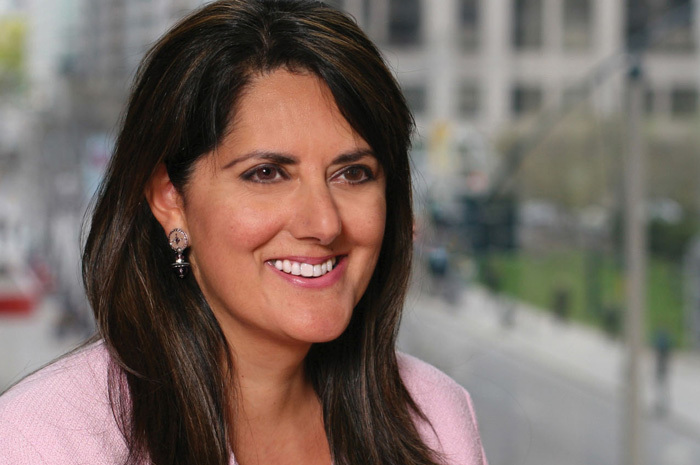 Jyoti Chopra is the Head of Global Citizenship and Sustainability and Chief Diversity Officer for BNY Mellon. She joined the company in 2012 and is based in New York City. Jyoti is responsible for leading the company’s comprehensive award-winning diversity and inclusion program and promoting a culture of inclusion that creates pathways for the continued recruitment, development and advancement of a diverse workforce. Her responsibilities include overseeing BNY Mellon’s diversity strategy and execution, leading gender initiatives and employee resource groups, advancing internal diversity training and hiring, and serving on the company’s Global Diversity and Inclusion Council, led by BNY Mellon Chairman Gerald Hassell. She is a member of BNY Mellon’s Operating Committee and is the company’s representative to the Global Talent and Diversity Council of the Asia Society. She serves on the boards of the BNY Mellon Foundation (New York) and the BNY Mellon Foundation of South Western Pennsylvania. She oversees the company’s corporate social responsibility, philanthropy and social finance areas and manages the corporate art collection. Charan Sandhu is a partner in Weil’s Technology & IP Transactions practice and is based in New York. Ms. Sandhu concentrates on the areas of complex technology transactions and intellectual property. She represents clients in matters relating to technology transfer, and the development, acquisition, use and commercial exploitation of technology and intellectual property. She has extensive experience in a wide variety of complex technology transactions, including technology development and licensing agreements, joint ventures, strategic alliances, professional services agreements, outsourcing arrangements, distribution agreements, and settlements of IP litigation. 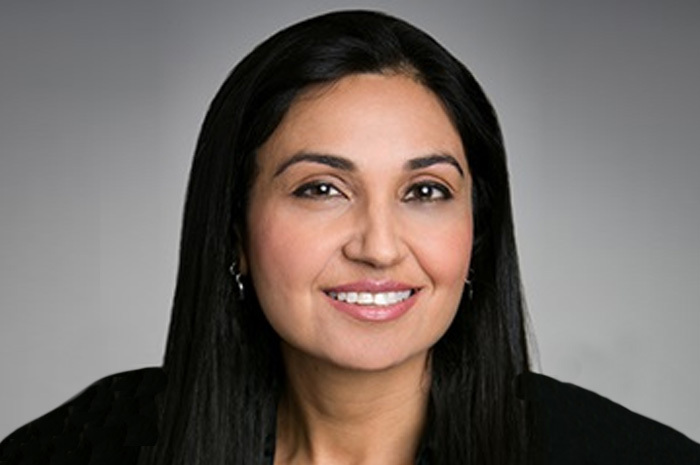 Ms. Sandhu is consistently recognized by Chambers USA as a leading lawyer for Technology & Outsourcing, where clients describe her as "the gold standard on TSAs," and praise her for her "practical and extremely knowledgeable" approach to IP and technology transactions and for “consistently producing work of the highest order.” She is also recognized by Legal 500 US; IAM Licensing 250’s “World’s Leading Patent & Technology Licensing Lawyers;” and IAM Patent 1000, where she is noted as an “amazing lawyer and an outstanding drafter. She is great at building relationships with counterparties.” She was also named an “IP Star” for licensing in New York by Managing Intellectual Property’s IP Stars; recognized as a Financial & Transactional Life Science Star by LMG Life Sciences Guide; named among the 2015 “Top Women” for Intellectual Property in New York by Super Lawyers; and shortlisted in the “Best in Technology” category at the Americas Euromoney Women in Business Law Awards 2016. Ms. Sandhu is a member of the Firm’s Diversity Committee. She is also actively involved with the Firm’s pro bono efforts and regularly represents Kids in Need of Defense. Ms. Sandhu was inducted into the YWCA’s Academy of Women Leaders for her outstanding professional achievement, civic commitment and leadership. She was also featured in Profiles in Diversity Journal’s 11th Annual WomenWorthWatching® issue. Jagjeet “Jay” Singh-Sohal is a writer and filmmaker, and a communications specialist with a unique background both in commercial broadcast and military media/info ops, holding the rank of Captain in the British Army Reserve. 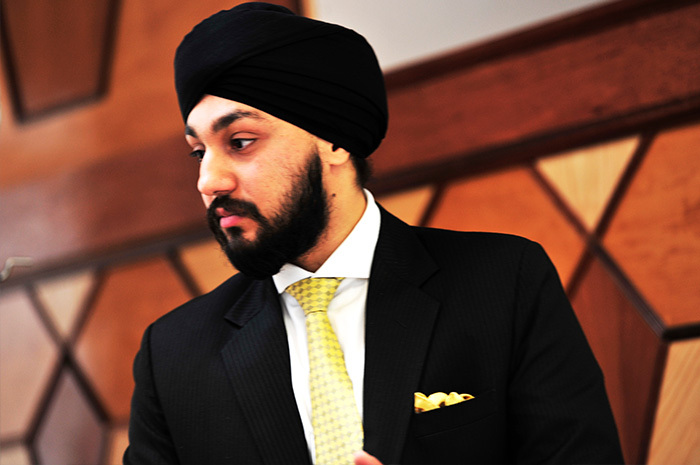 A keen military history enthusiast, he has over the past seven years undertaken research, written books, made films and spoken regularly about British Sikh history and current affairs. In 2013 he founded the annual UK commemoration of “Saragarhi Day” while in 2014 Jay created and led a new charity which unveiled the UK’s first national WW1 Sikh Memorial. In 2017, he briefed HRH The Prince of Wales about Saragarhi and how it can inspire young people to undertake public service. A confident broadcaster and public speaker, he has appeared on ITV and BBC as well as hosted events for the British Army, the Prince’s Trust, Ernst & Young and spoken at Goldman Sachs. A qualified journalist, Jay began his career in media early creating a community youth magazine in 2000, funded by the Princes Trust. As a student, Jay wrote for his University publication and was awarded the NUS/Daily Mirror Diversity Award in 2003. Jay continued his writing efforts in the USA - at college publications while studying in New York and Op-Ed pieces for organisations such as Fox News while working in Washington D.C.
His professional journalism career took off when selected for the prestigious ITV News Group Traineeship in 2006. Jay was an ITV reporter (the first turbanned Sikh) at regional and national newsrooms. Jay left ITV in 2009 to set up ‘Dot Hyphen Productions’ to make independent productions and corporate films. He has since written, produced and presented factual and awareness films for various corporate organisations and public institutions. His independent films reflect his passion for history and heritage – and includes the “Sikhs At War” online series which is a free film resource for international audiences. The successful “Turbanology” project developed from a documentary into an Arts Council exhibition and two books on Sikh identity. He has contributed to BBC films including “1984: A Sikh Story” in 2009 and “The Story of the Turban” in 2012. Jay then spent four years as a Producer at Sky News where he worked in a dynamic and busy international news environment, producing stories ranging from the Arab Uprisings in 2011 through to the Diamond Jubilee celebrations in 2012. He has outputed live television news from the gallery, making executive decisions and regularly delivering breaking news. In 2015 he left television news to deploy on military operations in the Middle East. Thereafter he has worked as a Communications Director at a Westminster think tank, and now advises a range of clients as a communications consultant. The Sikh Art & Film Foundation is a tax exempt non-profit organization under Section 501(c)(3) of the Internal Revenue Code.